Even in death Clip Art still has a sense of humor. Winamp is dead. Google Reader is dead. But today’s loss is almost too much to bear. 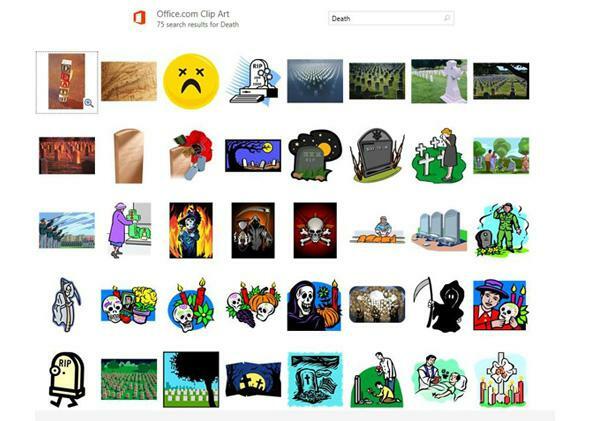 Microsoft announced that it is killing Clip Art. The wave of emotions (may Google Wave also rest in peace) is hard to control. But it’s hard to say goodbye to the little vector images that scaled so perfectly in our first slide decks and work reports. They added lightness and variety in the early years, and then transitioned effortlessly when we all started using them ironically. Perhaps it’s true that actual Clip Art usage declined in Microsoft’s services, but it never declined in our hearts.